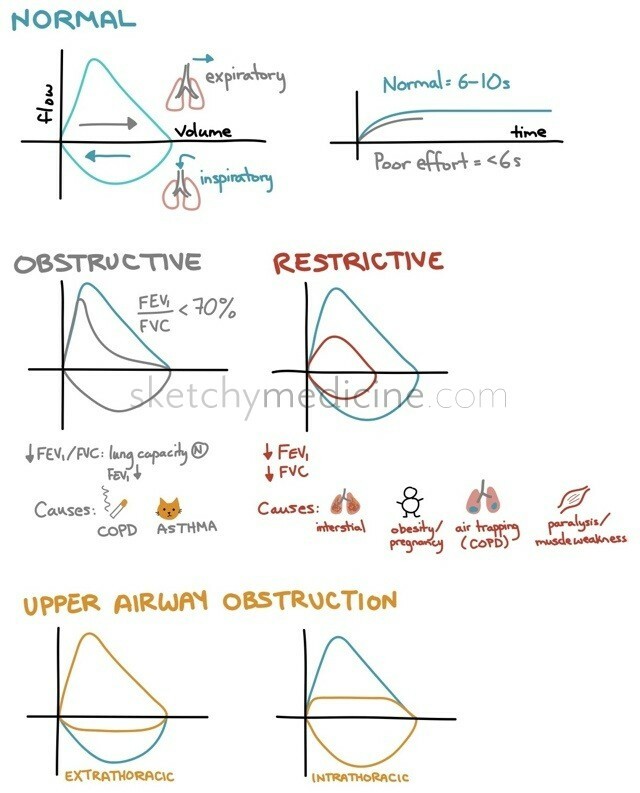 Same old pulmonary function tests (PFTs) that we’ve all probably memorized countless times. The only thing to remember that is a little odd is that you can get a restrictive type pattern of the FEV1/FVC ratio (but not quite the perfect flow loop) if you have air trapping in COPD. 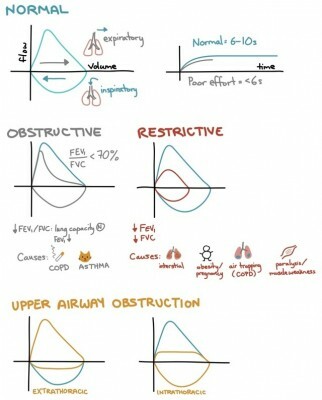 This entry was posted in Peds, Resp and tagged Asthma pediatrics by Ali. Bookmark the permalink. All of the information on this website is purely for educational purposes and has not been peer-reviewed.